An RSS feed (or news feed) is a means by which you can stay informed about what's going on at Kensington & Norwood Brass without having to regularly visit the website. Who is Kensington & Norwood Brass? Kensington & Norwood Brass Band, K&N Brass as it is know in the banding circles, has 120yrs of history and was first established in 1898. 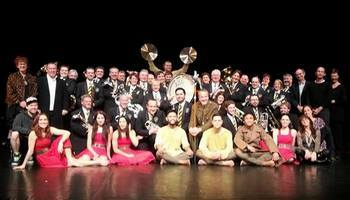 K & N is Adelaide, South Australia’s 'Top-Ranked' A-Grade Brass Band. with a long history at the forefront of SA banding. All our rehearsals are open to the public and to potential new members, so why not pay us a visit. We rehearse every Thursday evening at 8pm, at 31 Beulah Road, Norwood, SA. Want Kensington & Norwood Brass to PERFORM at your next function? Why not hire Kensington & Norwood Brass to entertain at your next event? We can perform at corporate functions, charity events, community Entertainment events, birthday parties, christmas parties, awards nights, weddings, engagements, anniversaries, engagements, and even funerals and memorial services.